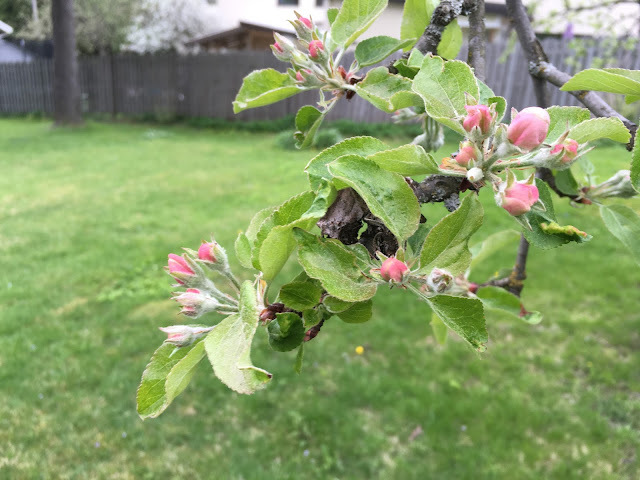 I was away on a business trip for a few days and when I came back home, our apple trees were full of green little leaves and pink little blossoms. 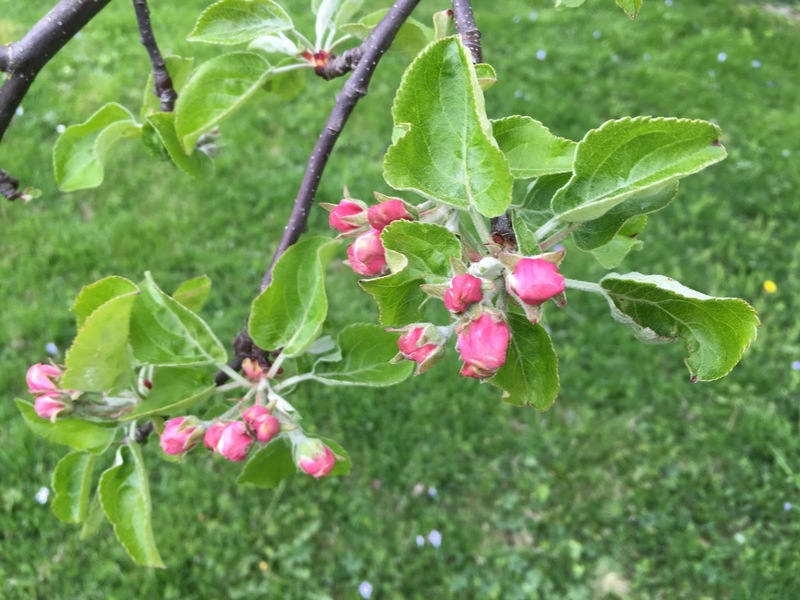 The red currant and ghostberry bushes have leaves and little flowers too. 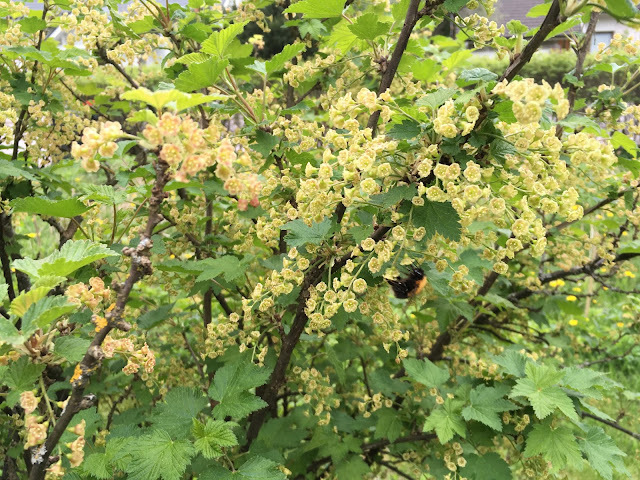 This morning I saw a lonely bumblebee doing his job pollinating the red currant.